I’ve been following the Instagram sew photo-hop over the last month. I love getting an insight into the sewing habits of other people… their sewing spaces… things they are particularly proud of. I don’t tend to join in because my working week is so full and sometimes hard work, that I don’t think I could do it justice. But I am a nosey creature and love to find out what makes people tick. So I thought it would be nice to show you guys a bit about my sewing lineage. Are you ready for a 80s-90s fashion show? 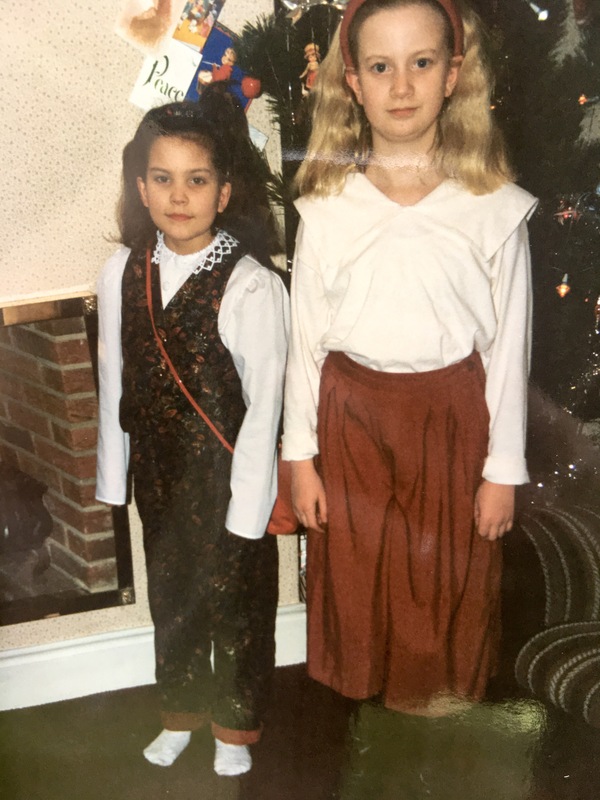 You know that culottes trend going on right now… well I grew up in handmade culottes! This is me with my brother… in his short shorts (snigger). These are one of the items I particularly remember my Mum making for me. I’ve never been much of a girly girl and I think this was one of the few ways she could get me into skirts. 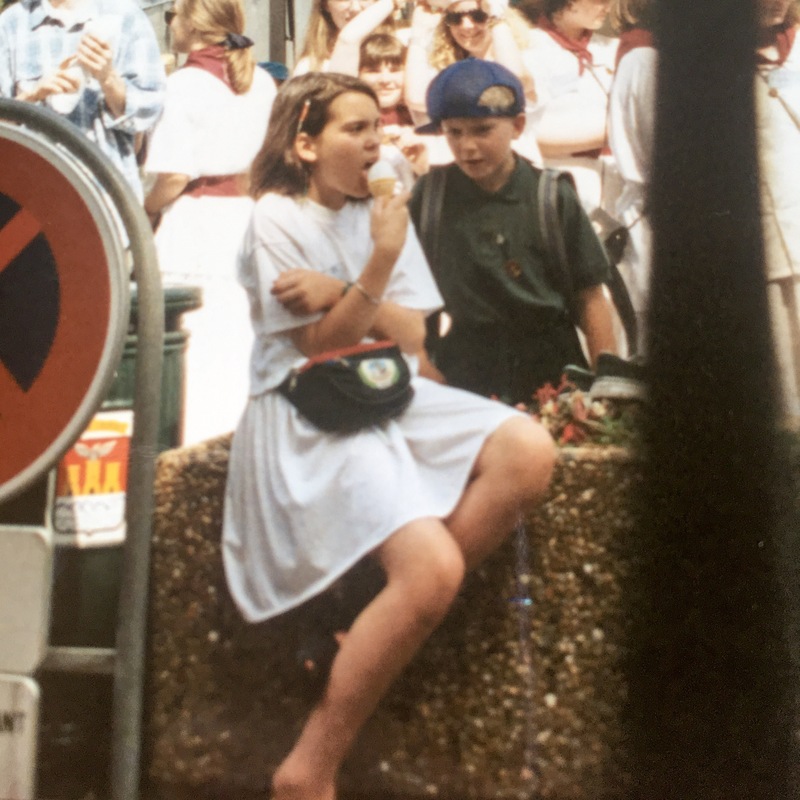 I think I was about 9 or 10 here, they were made as holiday attire… and can we just take a moment to really appreciate Phil’s bum bag (fanny pack if you’re American). 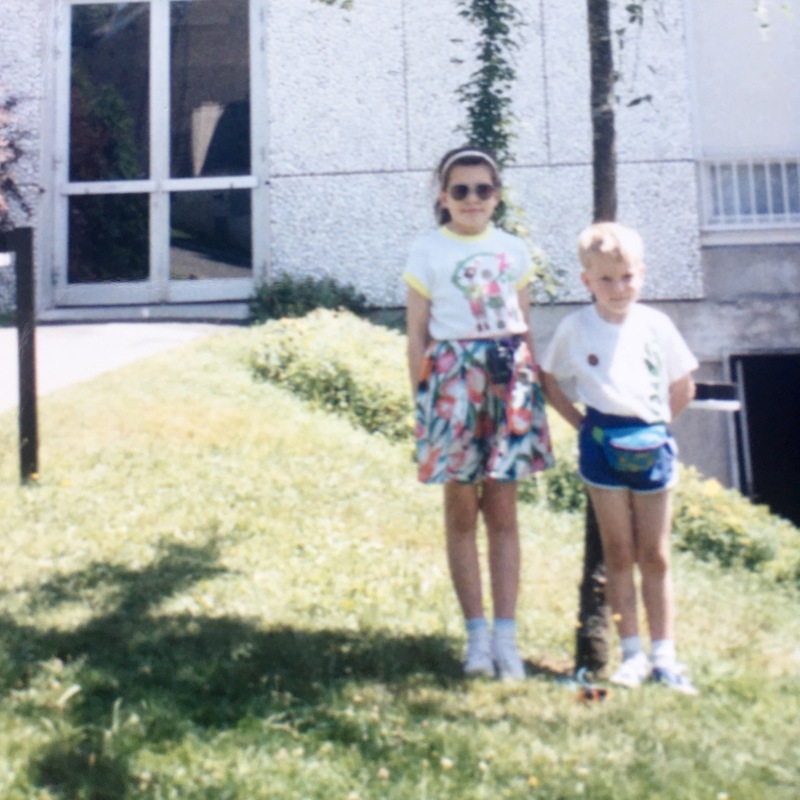 My sister also got a pair of culottes that same year, we couldn’t find a picture of her wearing them, but in the age old tradition of being a younger sister… I got them the next year… and Phil progressed onto Bermuda shorts. We can’t judge him… they were super trendy at the time. Mum also made herself a holiday wardrobe, while I don’t remember this as being handmade, I absolutely remember her wearing these items together and separately! I don’t think any of mine or my sisters clothes these are handmade in this photo. Yup… both the trousers and waistcoat are Mum-made. I think Chris’s culottes are too (Mum really liked making culottes). But just take a minute to let that outfit sink in! I’m wondering if it was clothes like this that mean I love long sleeves now? 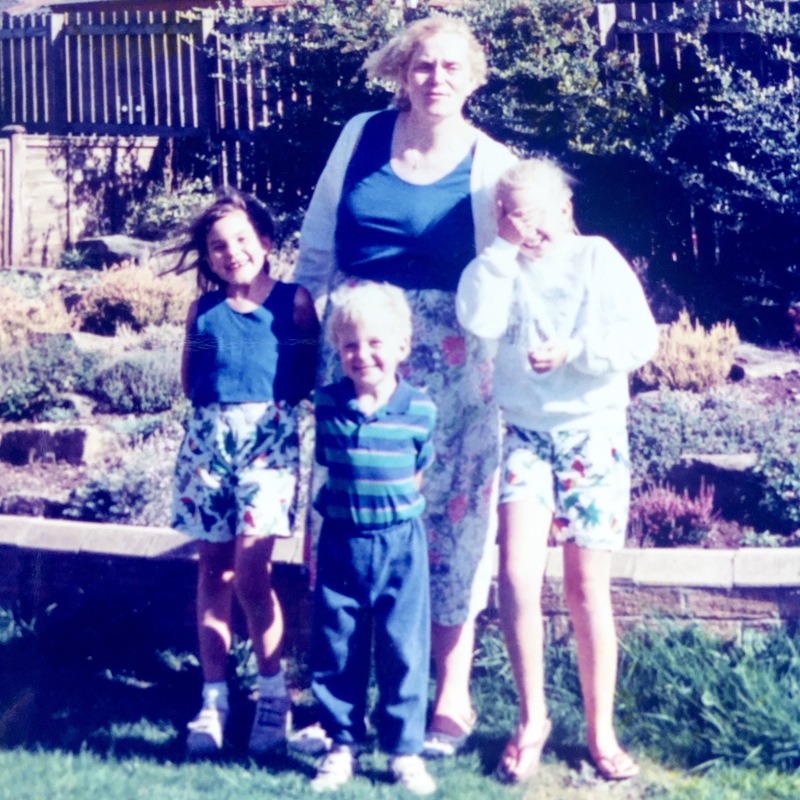 Now overlooking how cute it is that I’m pretty much dressed like Mum here… we found those shorts!! And I was wrong, it’s crocodiles with parachutes on… which makes more sense obviously (?!!). Turns out these were actually made for us by my Gran! I have no idea why this surprised me, but it did. My Gran was a Home Economics teacher, who could obviously sew (I mean I knew she could cook like a boss! ), but I have never connected this lineage up in my head properly. So if someone were to ask me why I sew… I could very happily respond that it’s in my DNA to sew. I have grown up surrounded by sewing machines and pins, I have always known to never use the orange handled scissors to cut anything other than fabric. I have worn handmade possibly since year dot. But you know what’s really funny about all of that? I was horrendous at sewing when I was at school… and I mean painfully bad at it. 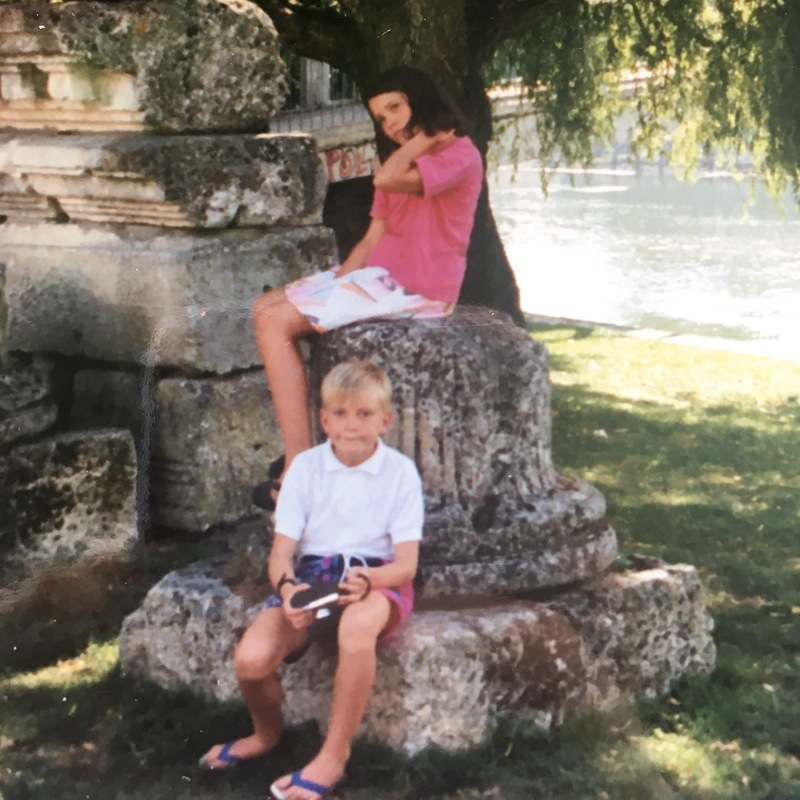 If you’re lucky Mum might have found some photos of things she made when she was younger, she’s been doing this sewing malarkey for longer than I have. Keep your eye out on her blog for those. 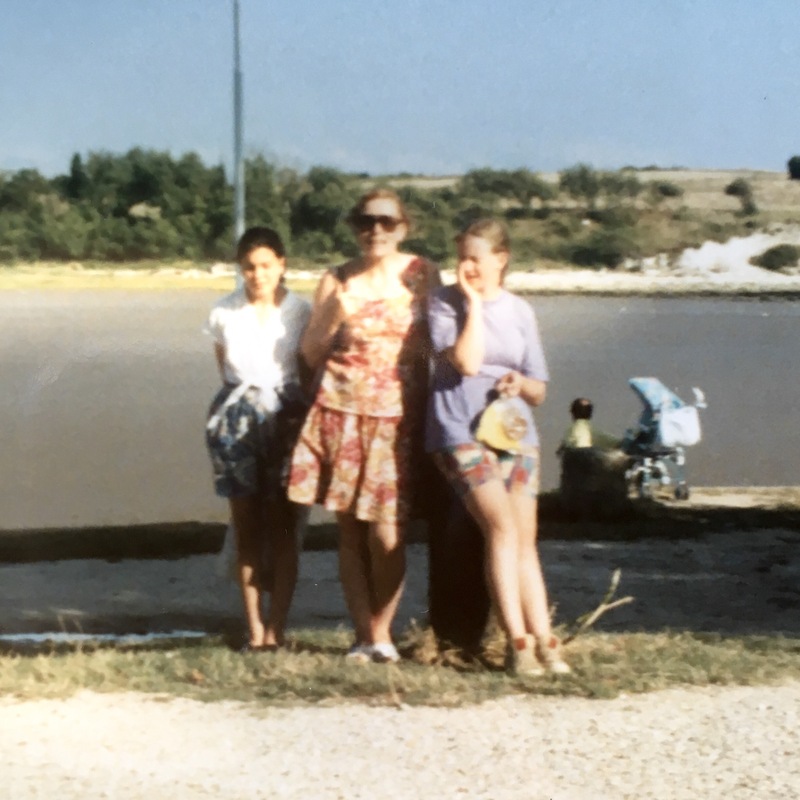 I did make the pink flowery outfit, my own long culottes and the bright blue tees. Ahahaha! Love this post. That waistcoat and trouser combination is spectacular. I also love that your Mum has a sewing blog – how cool is she?! My Mum made me a pair of culottes when I was little as well. They were green with a pink and yellow floral print and I thought they were amazing. I remember wearing them on holiday to Denmark in the early/mid 90s, probably accesorised with a bumbag! Most of my handmade garments however were made by my Aunty who used to make wedding dresses (sewing is definitely in my DNA.) She made me the most gorgeous dresses which I wore to birthday and christmas parties. I wish they still fitted me! Haha.